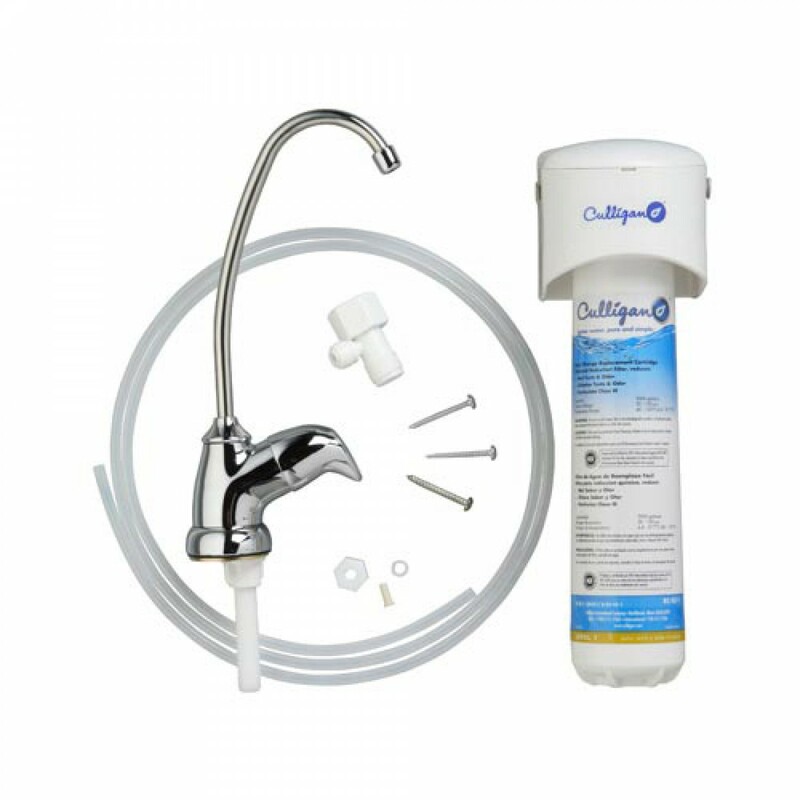 Easy to install, the Culligan US-EZ-1 Easy-Change undersink water filtration system fits into place quickly and begins to positively impact the flavor and quality of your water immediately. For up to one full year between filter cartridge changes, this genuine OE system will reduce up to 99% of particulates, chlorine, bad taste and odor. Comes complete with everything needed for set-up and operation, including one lead free faucet. Order the Culligan US-EZ-1 Easy-Change undersink water filtration system online today. The CULLIGAN-US-EZ-1 does not reduce fluoride.